Today’s elusive bird, a symbol of freedom, is one whose presence I was actually in once, but forfeited my chance to view it in favor of another avian quest. I was in the Monteverde Cloud Forest, and shortly after arriving, heard both the call of the Resplendent Quetzal, and also that of the Three-Wattled Bellbird. 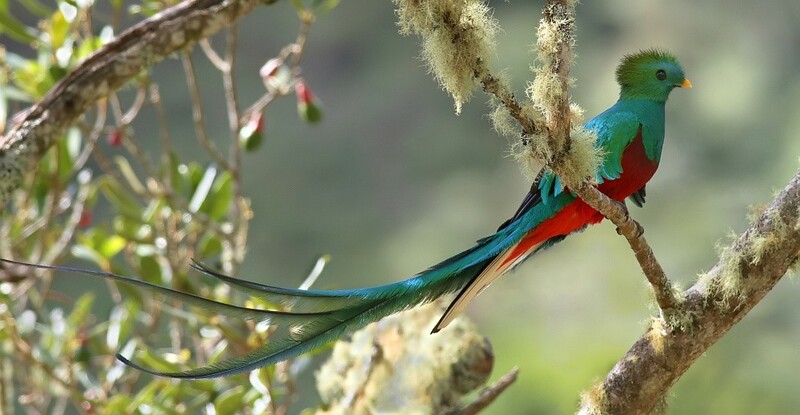 A large crowd was forming in the area from which the Quetzal’s voice was emanating, while the Bellbird promised to be further away from the masses up a solitary mountain trail. And so I went for the Bellbird, more about which I’ll share tomorrow. My hope was that later on, the Quetzal would still be available, but alas it did not grant me another opportunity for an audience. And this fact in and of itself will draw me back to Monteverde as soon as possible. 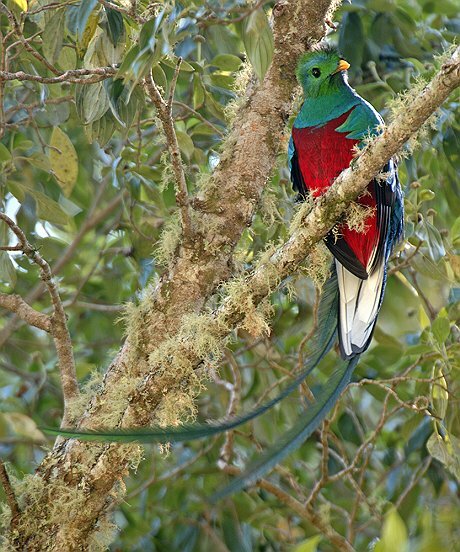 In his famous book, “A Naturalist in Costa Rica,” Alexander F. Skutch devotes a an 18-page chapter to the Quetzal, recounting its history as a bird sought out for many purposes, some of them sinister. Like the Second Bird of Christmas in this series, so Pharomachrus mocinno, the next-to-last bird, belongs to the trogon family. Its song is a treble syllable described as KYOW or like “a whimpering pup,” often in pairs, which may be repeated monotonously. 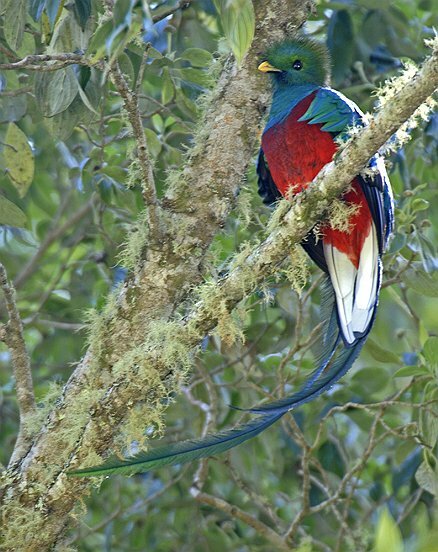 The Resplendent Quetzal is classified as “near threatened” and can be found in some of Costa Rica’s protected areas, such as the Monteverde Cloud Forest Reserve, where it shares habitat with the aforementioned Three-Wattled Bellbird. In partnership with Terra Incognita Ecotours and La Calandria Private Reserve and Lodge, I will be helping to organize and lead a voluntourism experience to Monteverde in May or June of 2011 to help with reforestation efforts that will provide more habitat for both species. You’ll hear more about this in my final entry of the series tomorrow. If being a part of such a tour interests you, please comment here or on my Facebook page. 11 birds down, and one to go! Thanks for reading. Photos for this entry are courtesy of Ged Caddick and Terra Incognita Ecotours.